As an early work of community-activist public art in Medellin, The Skin of Memory (1999-see below) grew out of, and was subsequently reabsorbed into, the production of a civil society in Colombia. In 2011, Lacy and Riaño were invited to revisit their 1999 project for MDE 11: Encuentro, a biennial at the Museo de Antioquia. In the decade between these two works, activists and scholars had continued to build upon the themes of the earlier project. In particular, the use of work on memory as a tool for developing a public voice in the midst of ongoing conflict has now become recognized throughout Colombia. The Skin of Memory Revisited, the new work, took advantage of the reflective space of the museum to review the past decade in Medellin in terms of progress and setbacks on the incidence of violence; to imagine possible futures for the city; and to bring those who produced The Skin of Memory together again, to celebrate the fabric of relations formed earlier that continues today. This gathering of international artists provided a rare opportunity to revisit a work based on memories, and layer upon it the subsequent reflections on a decade of change from 30 former participants. 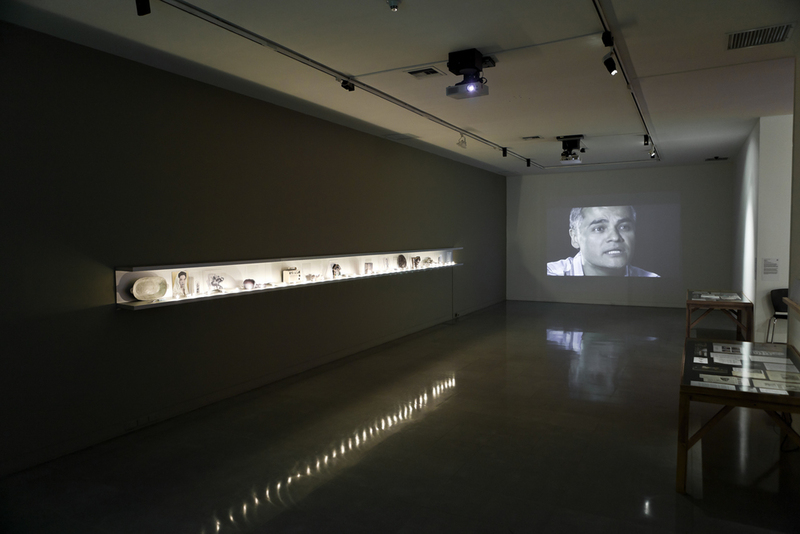 From the most basic questions—what happened to those who produced this work?—to the more complex— where did we succeed and where did we fail?—this installation and performance in Museo de Antioquia explored the cultural and political changes since 2000 through video projections, a shelf of artifacts from the earlier work, and a reunion with former participants. Over seventy people—from the mayor to the electrician—came to the museum to remember, celebrate their accomplishments, and re-engage with each other. Curated by Bill Kelley, Jr. for MDE 11 Encuentro, a Medellin Biennial at the Museo de Antioquia, Me- dellin, Columbia. Installation assistance from Silvia Ortiz, Christina Sanchez, Carmen Uriarte and Peter Kirby (video).